Two new studies have found that food allergies are on the rise in the U.S., both among kids and adults. While many food allergies develop in childhood, research presented this week at the American College of Allergy, Asthma and Immunology Annual Scientific Meeting finds that isn’t always the case. The study found that almost half of all adults with food allergies report that they didn’t develop their allergies until they reached adulthood. Her study also found that the number of adults developing allergies is on the rise. The most common adult-onset food allergy is shellfish, which now affects an estimated 3.6 per cent of U.S. adults. That’s up 44 per cent from the 2.5 per cent prevalence rate published in a large 2004 study. The prevalence of tree nut allergies in adults has also risen, increasing from an estimated 0.5 per cent in 2008, to 1.8 per cent today. One of the study’s co-authors, PhD candidate and allergy researcher Christopher Warren, says his team’s research found that the risk of developing a food allergy is higher for black, Asian and Hispanic American adults, than for whites. 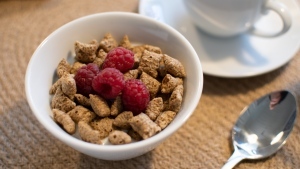 He added it’s important for adults who have unusual reactions after eating certain foods to get tested for an allergy and not just assume they have developed an intolerance to the food. 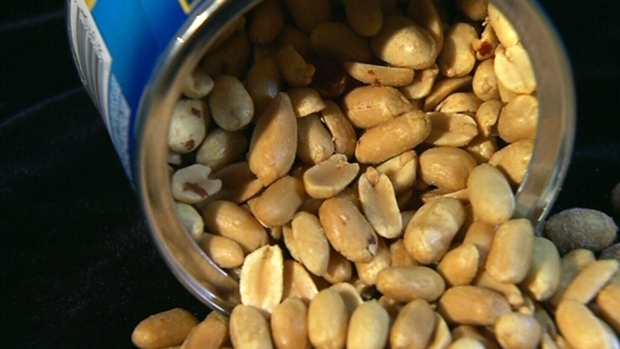 “Because many adults believe food allergies mostly affect children, they may not think to get tested,” he said in a statement. Dr. Gupta presented another piece of research at the meeting that found that peanut allergies in U.S. children have increased 21 per cent since 2010. The study, which surveyed more than 53,000 U.S. households between October 2015 and September 2016, found that an estimated 2.5 per cent of children now have an allergy to peanuts. Tree nut allergies area also on the rise among kids, and have increased 18 per cent from 2010 levels; shellfish allergies have increased 7 per cent. The study found the risk of peanut allergy was nearly double among black children compared to white children. Black children were also significantly more likely to have a tree nut allergy relative to white children. Dr. Gupta said one bit of good news is that parents now have a way to potentially prevent peanut allergy: by introducing peanut products to infants early (after assessing risk with their pediatrician and allergist). The U.S. National Institutes of Health issued guidelines in January that encourage parents and caregivers to introduce peanut-containing foods to children in their first year -- as early as 4 to 6 months of age for those at lowest risk of allergies – to help protect them from developing the dangerous allergy. The guidelines marked a major shift in dietary advice, and were based on landmark research that found that early exposure to nuts and peanuts dramatically lowers a baby's chances of developing allergies in childhood. Allergy alert: Why aren't life-saving injectors everywhere in public?